Need help completing your Walter White Halloween costume? Well, designer Nathan Peters can help you out. 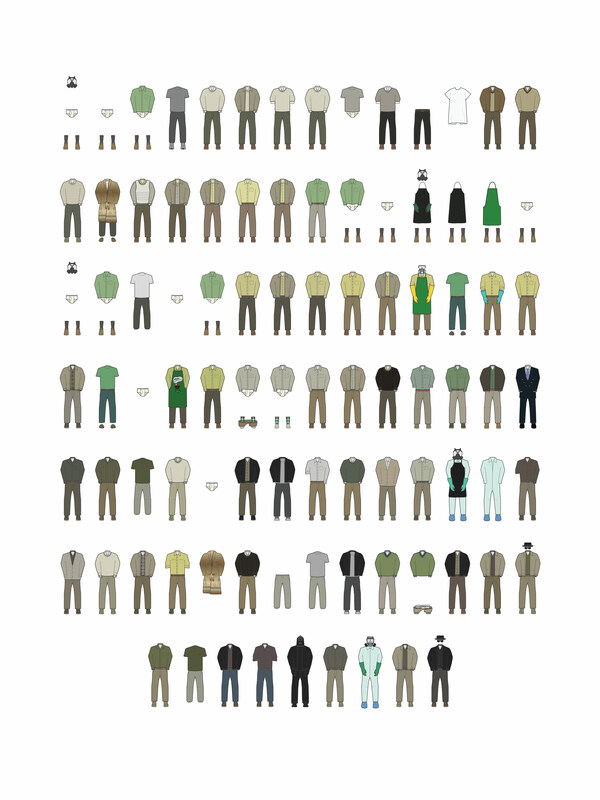 He's compiled every outfit Walter White (Bryan Cranston) wore throughout the 62 episodes of "Breaking Bad" and put them in one image. Check out Walter's fashion choices in the picture below, and if you want his wardrobe on your wall you can head over to Peters' site and buy a print of it here. "Breaking Bad" Season 5 Exclusive Gallery Photo.